*Dazzling song bird Rena Scott and singer/bass-guitarist/funkmeister Michael Henderson are on top of the world. After a sold out one-night concert at the famous Hollywood jazz club Catalina Bar & Grill back in May, the duo, who garnered the 1978 R&B hit “Take Me I’m Yours,” is back for an encore just three months later. Now get ready for a two-night performance on Wednesday, August 9 and Thursday, August 10, 2017. Scott, inducted into the R&B Hall of Fame last year, has been a force in R&B and jazz for over 40 years. The Detroit native started singing in the church and began recording songs as young as 15. She even opened for Motown acts like The Temptations and The Four Tops. At just 18, another act from Detroit, the one and only Aretha Franklin, was looking for a background singer and Scott earned the spot. Scott did a tribute to the legend at her last Hollywood performance and will honor the Queen of Soul this time as well. Scott will also honor another act she worked with, The Crusaders, by singing their most popular song, the 1979 pop/jazz/R&B hit “Street Life.” She toured all over the world in the early 80s with the group after Randy Crawford, whose vocals you hear on the recorded track, left. Rena Scott and Michael Henderson swooned there way on the R&B charts in 1978 with the duet “Take Me I’m Yours.” Henderson earned other hit songs in the late 70s and 80s including “Valentine Love” with Norman Connors and Jean Carne, “You Are My Starship,” “Wide Receiver,” and “Can’t We Fall in Love Again” with Phyllis Hyman. 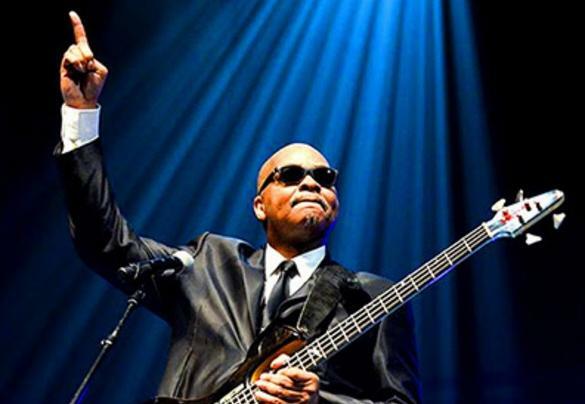 As a bassist, he toured all over with the likes of Miles Davis, Aretha Franklin, and Stevie Wonder. Additionally, he produced songs for The Dramatics. By now, you probably want to know what plans Scott and Henderson have together at the Catalina Bar & Grill. While we cannot give up the goods, the two may have another surprise for their fans. For more information on Rena Scott and her music, click on her website here. For more on Michael Henderson, check out his Facebook page here. Before the show sells out again, click here to buy tickets for the two-night Rena Scott and Michael Henderson performance at the Catalina Bar & Grill in Hollywood on the world famous Sunset Blvd. The dates again are Wednesday, August 9, 2017 and Thursday, August 10, 2017.